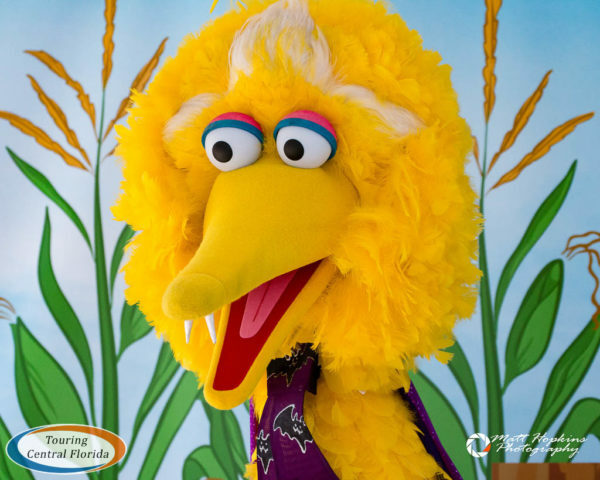 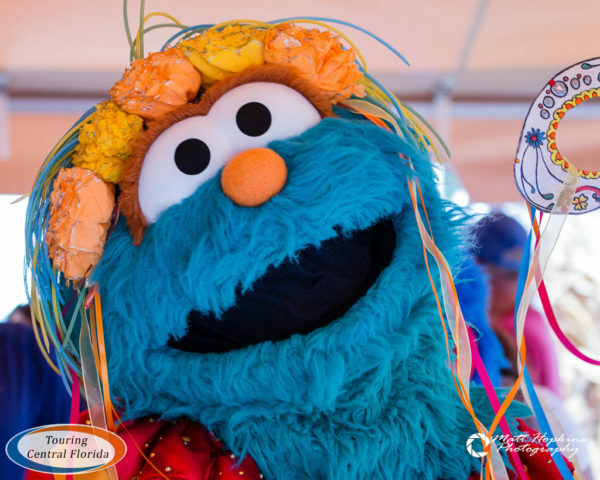 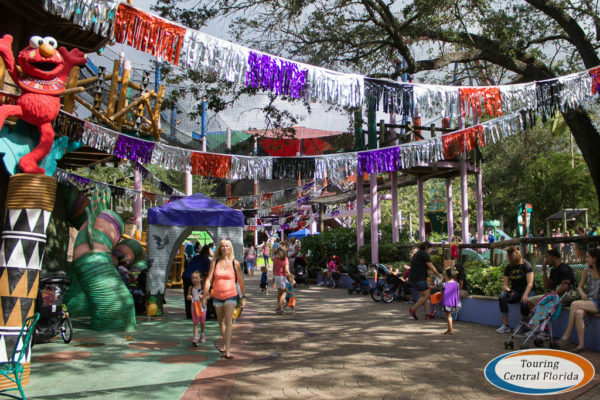 All this month, Busch Gardens Tampa Bay has been celebrating Sesame Street Kids’ Weekends in the Safari of Fun section of the park. 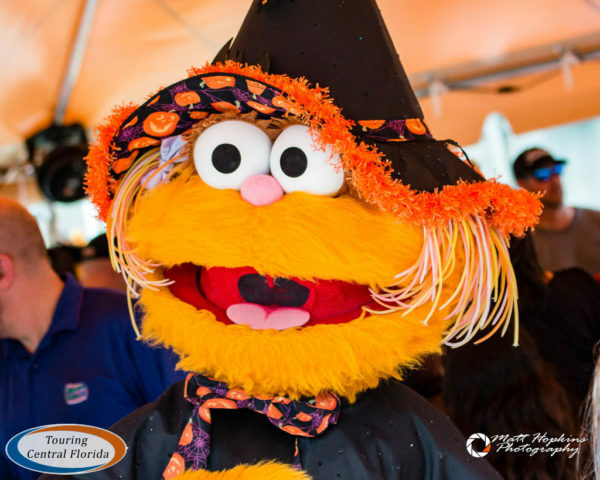 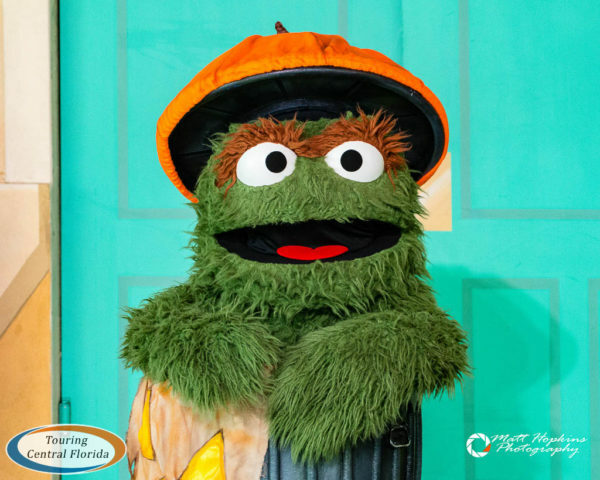 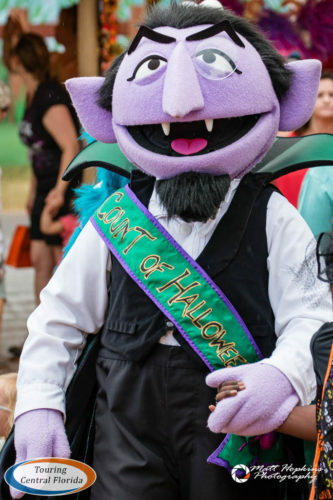 Each weekend features trick-or-treating, fall festival activities, and varying themes based around Sesame Street characters. 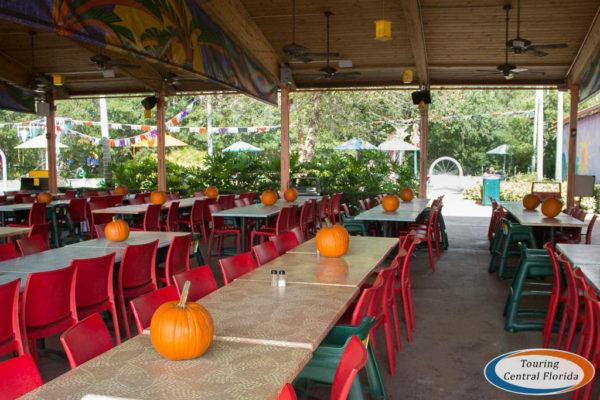 This weekend, October 21 & 22 is Spooky Safari, and next weekend, October 28 & 29 is Rosita’s Halloween Fiesta. 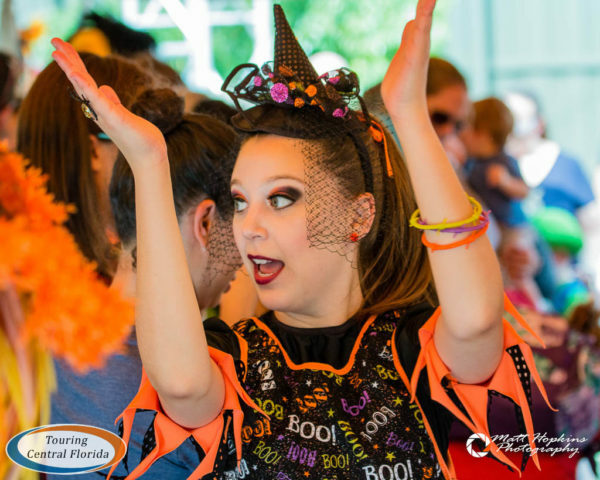 Guests are encouraged to come in costume, and the best part is access to the event, including the fall festival area and trick-or-treating, is included with any park admission. 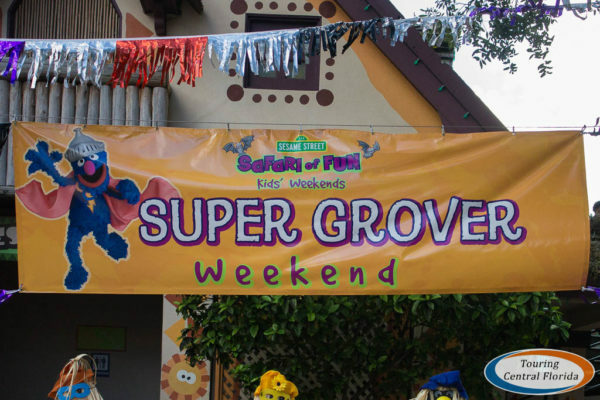 This past weekend’s theme was Super Grover, with the masked superhero represented around Safari of Fun and into the special fall festival area in a corner of Gwazi Park. 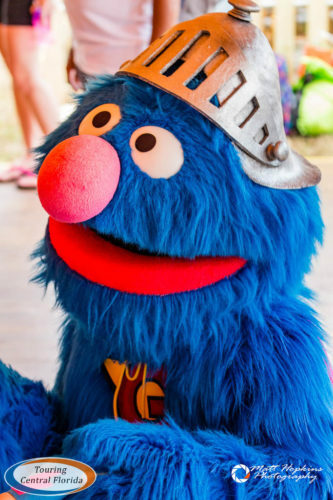 Super Grover himself was even spotted having fun with kids of all ages. 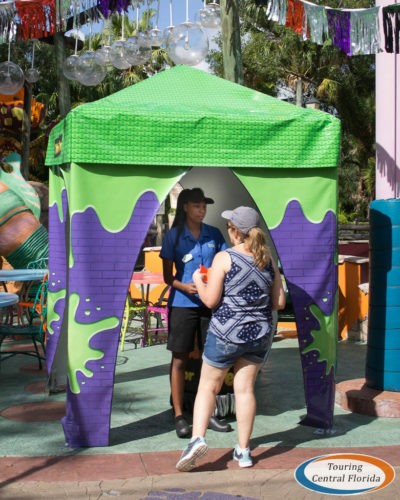 There are a number of trick-or-treat stations scattered around Safari of Fun where kids can pick up a variety of candy. 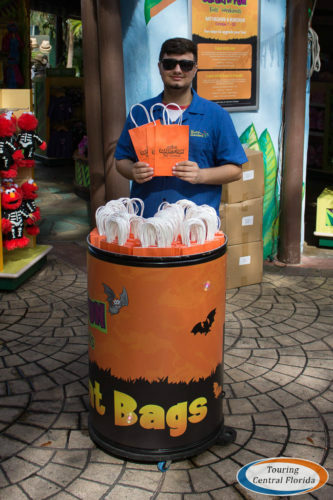 Grab a free bag to hold your treats in as you enter the area. 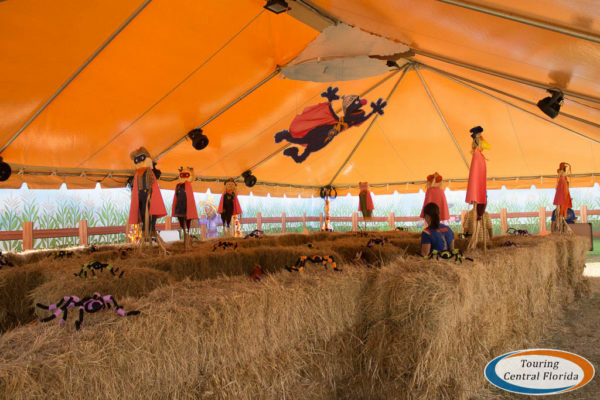 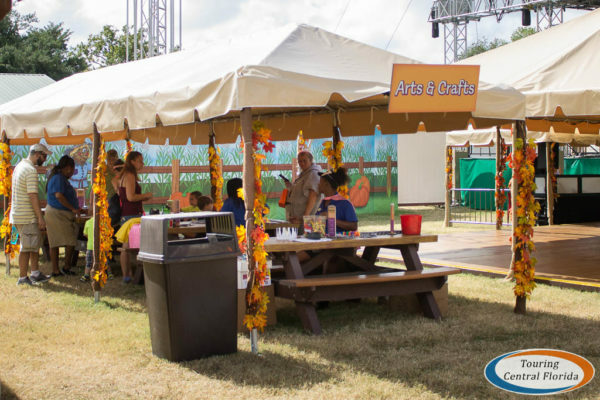 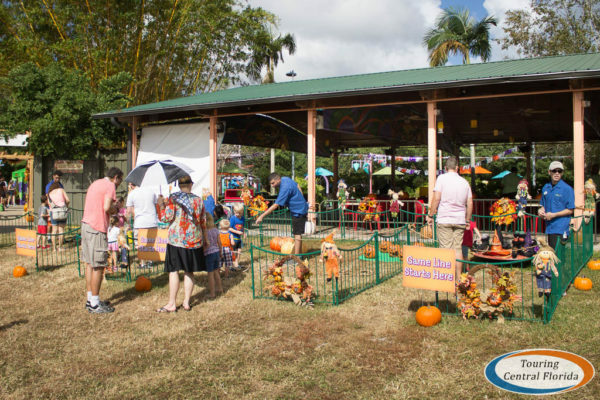 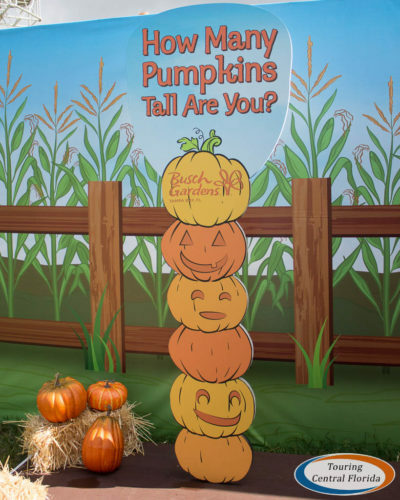 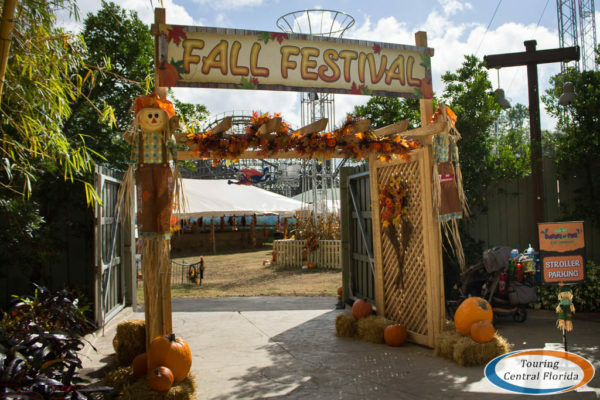 In the back of the Safari of Fun area, Busch Gardens has carved out a section of Gwazi Field for a fall festival, complete with various games, a hay bale maze, arts & crafts station, and a dance floor. 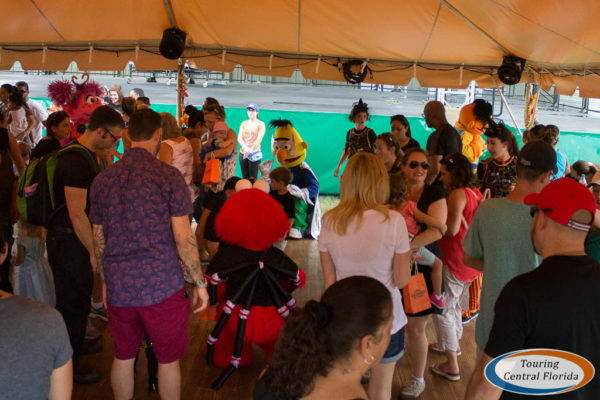 Several times a day, a special dance party with Sesame Street characters and their friend is held here. 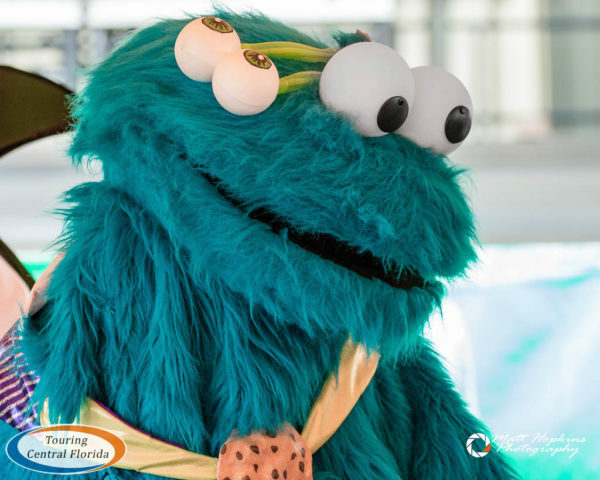 It’s a fun way for kids to interact with their favorite character. 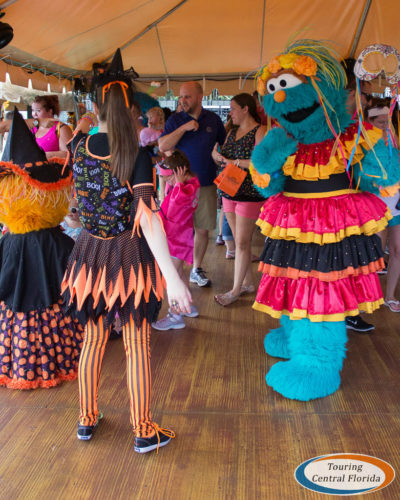 Also held a few times each day is a parade that winds its way through Safari of Fun, featuring Sesame Street characters in their Halloween costumes. 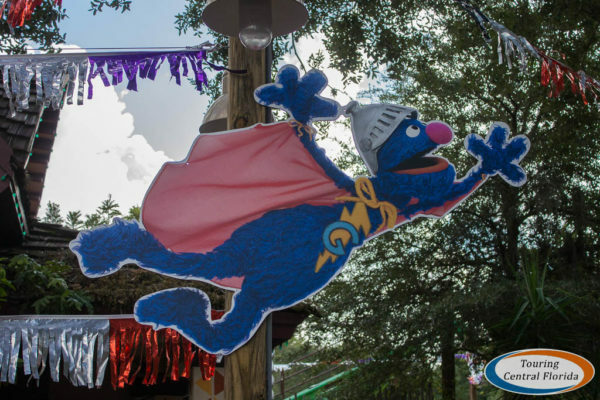 If you miss snapping a picture of them while on the move, be sure to stop by the character photo spot near the Air Grover roller coaster. 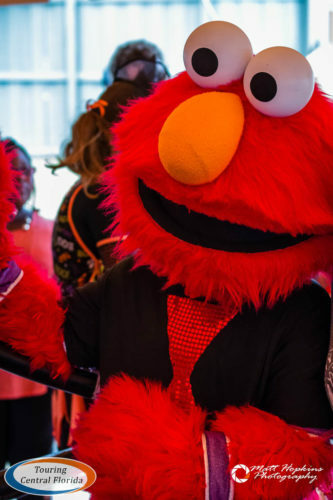 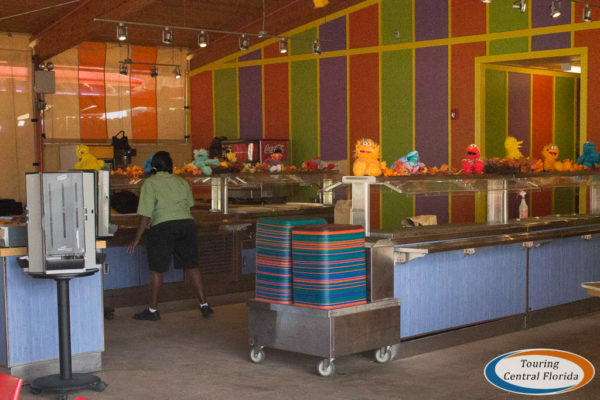 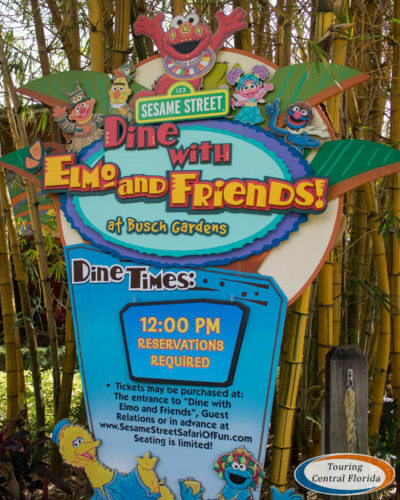 As an add-on option, guests can also purchase a spot for a Sesame Street Character Dining lunch, which includes a buffet and a variety of special activities and photo opportunities. 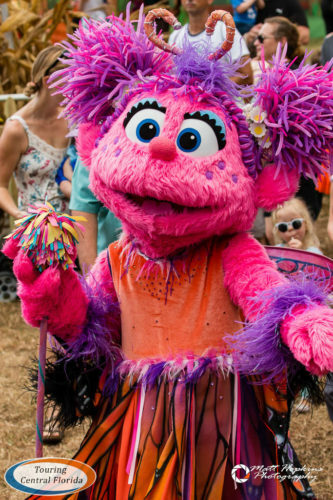 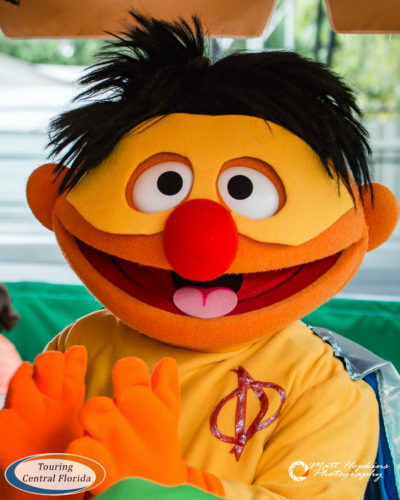 See more details on Sesame Street Kids’ Weekends in our preview article.